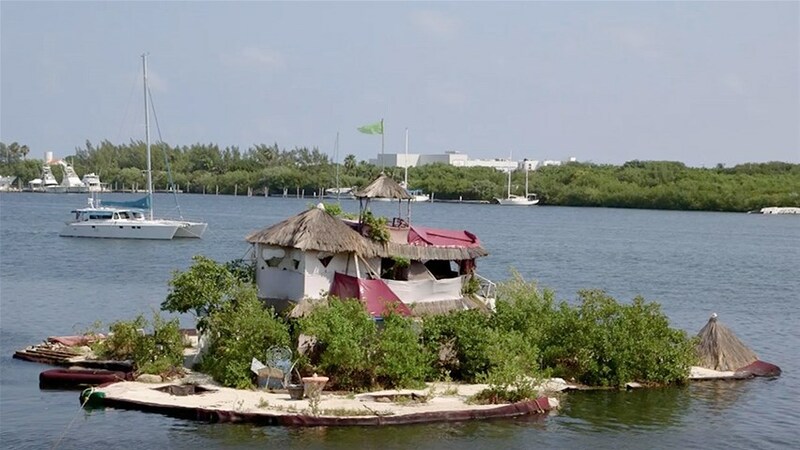 Richart Sowa has built a tropical island from 150,000 recycled plastic bottles. To top it off he also built an off grid solar powered house on top of his island too, complete with composting toilet, and a rainwater collecting system. He has also added plants and a nice little garden. The plastic bottles are placed inside mech bags and lashed to repurposed pallets, then covered in sand and soil, and planted with mangrove trees. The mangrove’s root systems grow down through the mesh bags and plastic bottles into the water, acting effectively as a natural structural support system, thereby strengthening the entire island. Video: You won’t believe what this island is made of!